It’s okay to be childish too. I have heard in one way or another that every person has an inner child in them, and some people are proud to show it while others completely ignore it. Furthermore, on more than one occasion, Jesus tells us to come to him in the manner of child (Matthew 18:3, 19:13-15), minus the fact that we are children of God. Nevertheless, not too long ago I had a conversation about this and I was pondering on it recently and I figured I’d write about it. Why not? Anyhow , when you consider what Jesus’ desire for us to be childlike, you have to stop and consider what it means to be the average child. For starters, it means you have a giant imagination and a heart of dreams that seem impossible. As a follower of Christ we are called to think big and to come up with the impossible believing that God is who He says He is and can do what He says He can do. Far too often, us adults put God in a box, when God is urging us to bust the box wide open so that we can really experience His power that He can prove that He can do above and beyond all we could hope or imagine. God is only as big as we make Him out to be. So as a child does, dream as big as you can and believe that God put that crazy idea in your heart for a reason, because if what you are praying and believing God for doesn’t scare you, you aren’t praying big enough. It’s being a sponge and soaking up everything you hear and see. We are called to me imitators of Christ, and so as much as we are able through His word and other ways He speaks and communes with us, we should be right at His feet soaking it all in, following everything He did and said. All through the Old Testament especially we are commanded to meditate and keep the Scriptures close to our hearts, soak it all in, because there will be a day when we are squeezed and what we have retained, good or bad, will ooze out. We should thus be ever so eager to learn about God and who He is as the Scriptures suggest. Being as a child is constantly living in awe, being wonderstruck as Margaret Feinberg put it, easily captivated. It never ceases to amaze me how the smallest things can capture the attention of a child and how curious they are. They are fascinated by a shoelace or the sound of banging on a pot or bubbles, so should we. There are so many mysteries in this faith and when God reveals certain things too us we should be in awe of His revelation, or on the other hand, we should be looking for the face and hand of God everywhere we go, whether the beauty of a buttercup or a beta fish, or those little prayers He answers on a daily basis. I believe it was Donald Miller who wrote about how our wonder of God becomes our worship of Him. Furthermore, unless they are taught differently or shown differently, children are more likely to be accepting of others’ differences as well as accepting of who they are. As children of God we are not to show favoritism, walk over those who are weaker, treat those that aren’t like badly or discriminate against them, but accept everyone as our neighbor and stand up for one another. 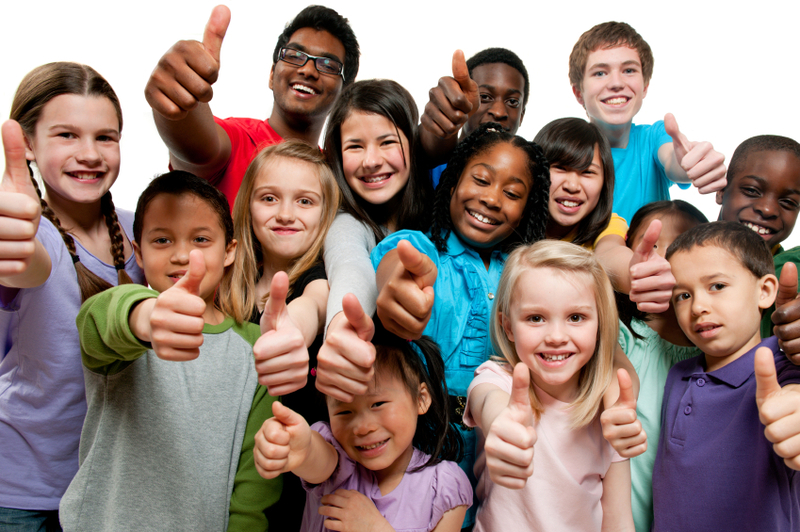 Likewise, we know that we are fearfully and wonderfully made in the image of God with our own set of gifts, personalities, and differences that make us to be exactly who God intended us to be, part of which are the heart’s desires that others may laugh at or put down or think it as ‘cute.’ Children tend not to recognize or give much [negative] attention to their ‘flaws’ until they get older and learn the standard of beauty, otherwise they are content and thrive in just the way they were created. 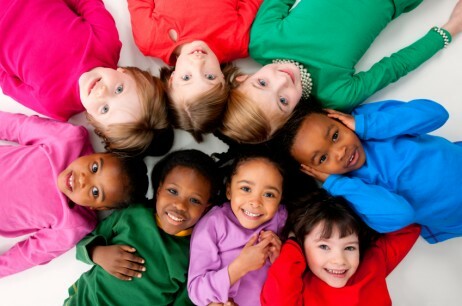 Children are not afraid to laugh and have fun, and love color. This Christian life was never meant to be dull, lifeless, and colorless, but just the opposite. I mean if you just look at the vastness, vibrancy, vitality, and dynamic of creation alone, it would be an insult to think of God as mundane or boring without vivid beauty, so why would initiate our lives be like that? God is full of emotion, which includes happiness, so He in fact does smile and laugh, yes, it’s a weird concept, but His Word tells us He does. Children laugh, God laughs, as should we. As a child, there is always the expectation of growth and development, which applies to children of God as well. Though God created us the way He wanted, we still have our sin and fleshly nature, those things that God loves us too much to let be. We are suppose to gro w in knowledge, wisdom and stature, and develop more and more to be all that we were destined to be for His ultimate glory, for every stage of growth is a different complexity and a different wonder to be held. When you think of children, you think of innocence and purity, and it’s the cross that allows us to restore our innocence and be pure. Time and time in Scripture you find that we are to strive for righteousness and perfection, and to be blameless, without blemish, which comes with the help of the Holy Spirit. This same idea of innocence and purity is how we stay in fellowship with God, hear from Him, and receive all that He has for us. We are to be holy just as Christ was holy, and the more we imitate Christ the more the world is able to see Him. Children are bold and aren’t afraid to get close or speak truth, as should we in our speech, at any given moment, we should be willing and bold to speak life and truth as the Hold Spirit leads, even if it may be unpopular or unfavored. Coming as a child is thus also not being to timid to explore some new territory, and though the level of caution varies from child to child, they are still less reluctant than adults. In the same way, we should not be afraid to get out of our comfort zone and explore new things, for it is there we truly live and where God reveals more of who He is. Nevertheless, just like children, we are immature, naive, and clumsy, we fall, we break stuff and make a mess of things, at times consistently, but as God our Father, He will always be there to pick us up when we fall and teach us how not to make a mess and break stuff, and will give us the experience and knowledge so that we won’t make as many messes so often. And as any good parent, He molds us to be our best, is patient with us, merciful, gracious, and from time to time, disciplines us, while having our best interest at heart, even when we don’t understand. He knows what we need as His children better than we do, vows to protect and provide for us, promises to hold our hand and comfort us when we get a boo-boo. Above all, as our Heavenly Father, His desire is to foster us, His children, to be the awesome, fearless, relentless, and amazing persons He had in mind for us to be back in eternity past, maximizing our strengths and potential. He wants us to receive everything on Earth that Heaven has to offer, hoping that we are able to stretch our limits and command the impossible to be done. He wants His children to be confident in who they are because of who Christ is, and walk with all authority and power using their gifts as if they were superheroes with superpowers from another world. He desires His children to be so unmoved and sure of who their Father is and who they are, that they are not afraid to stand alone or go against the grain and give life all they have, thinking outside the box, believing that anything can happen and that there is something greater. All in all, God wants nothing less than for you to shine ever so brightly,having no desire to harm or hurt you in what ever form, but to give you a hope and a future. .
Be childish and be you for a purpose because the kingdom of heaven belongs to you.